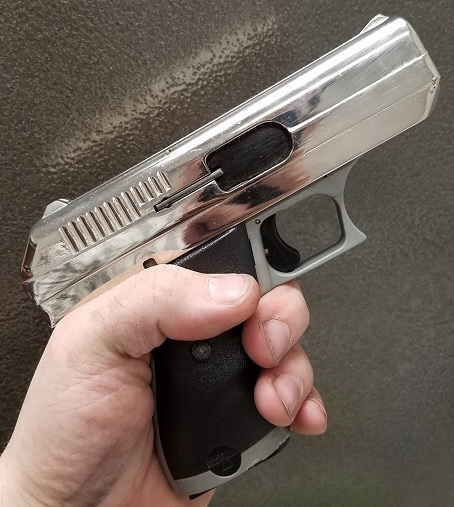 I got a chrome slide Hi Point CF. Its not polished down Zamak, its actually chrome. How rare are these? It has a gray colored polymer frame, no mag safety, fixed sights, and the slide shuts when you take an empty magazine out of it. The magazine is unmarked and has a flat baseplate. Its kind of neat. I haven't seen a chrome one in the whole time I've been paying attention to SNS guns. I'd say the chrome CF 380 is rare. Yours looks to be in great condition too! There area few chrome CF 380's in the lower left of this pic; the owner of all these Hi_points was on HPFF but got banned. 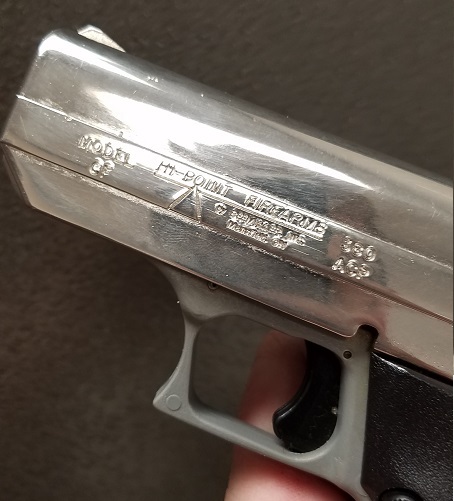 I've got a chrome Model C 9mm which preceded the C9. That guy has 64 hi points in that picture. I'm not so bad. I have a couple of the chrome grey framed cf380s. They are kind of neat. Careful with the chrome. Hipoint never used a copper base coat so its not as durable as most chrome sns guns. That hipoint collection photo is pretty impressive. I bet he had a visit from the ATF over that collection LOL. Still... lots of nice variants there. I got banned from that forum for pointing out that the FP serves as the ejector and the design is basicaly that of the raven. David Vincent wrote: I have a couple of the chrome grey framed cf380s. They are kind of neat. Careful with the chrome. Hipoint never used a copper base coat so its not as durable as most chrome sns guns. That hipoint collection photo is pretty impressive. I bet he had a visit from the ATF over that collection LOL. Still... lots of nice variants there. I got banned from that forum for pointing out that the FP serves as the ejector and the design is basicaly that of the raven. Using the firing pin as an ejector predates the Raven and goes back through various import banned European handguns to early Browning pocket pistols, maybe earlier. 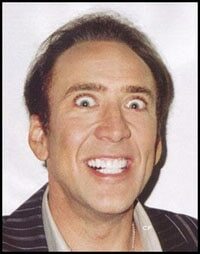 Still, people on forums can get touchy when it comes to collective "knowledge". I thought about getting into Hipoint collecting, but may now settle for a 40 cal problem solver. As to the chrome slide 380, neat looking gun and definately uncommon, I e never seen one in my neck of the woods. They'll never be as valuable as Colt SAA revolvers, but I think the variations in "junk guns" make them more interesting. They get a little boring after a while. Big, clunky, and kind of a money pit in terms of long term value. I have most of the early variants and I can say without a doubt that the new versions hipoint puts out are better in every way. Better durability, quality control, accuracy, finish, safety etc. etc. I dont have one of the new C9s yet with the grip safety but I am sure it will happen. I was hoping they would put out a heavy duty 10mm pistol but I have not seen anything. My biggest beef with hipoint is still the magazines. The c9 mags are just lousy and the cf380 basically has no magazine. In fact..... they have always used crap magazines all the way back to the original versions. Lorcins have better quality mags than hipoints. David Vincent wrote: They get a little boring after a while. Big, clunky, and kind of a money pit in terms of long term value. I have most of the early variants and I can say without a doubt that the new versions hipoint puts out are better in every way. Better durability, quality control, accuracy, finish, safety etc. etc. I dont have one of the new C9s yet with the grip safety but I am sure it will happen. I was hoping they would put out a heavy duty 10mm pistol but I have not seen anything. I just ended up finding and buying an early Stallard online, hopefully I'll have it in a couple weeks. Unlike Ravens, I suspect I'll be fine restricting myself to 1 or 2 early Stallards/Mavericks and/or HiPoints. I still dig the chrome look though. As for magazines, I have to say that I've always been interested in magazines that come with inexpensive firearms. Years ago (late 1990's) I bought a brand new Bryco/Jennings J-22 and found 2 really nice Italian Mec-Gar magazines came with it; the magazines remain like new and the pistol stopped working a long time ago. I suspect that the HiPoint related companies have stuck with the same single stack/single feed magazine for so long because they're typically easier to design for reliability and keeping the same mags across pistol iterations means interchangeability and economizes the tooling. That said, a company can still screw anything up and I read/see quite a bit about HiPoint mags having issues (as an aside I really dislike the funky Black and Decker looking extensions/floorplates). I have to believe that HiPoint makes their own magazine in house to save money, maybe QC isn't strictly enforced on an item that is easier to replace at little or no cost. keep an eye on the frame on the right side just behind the trigger on your stallard. 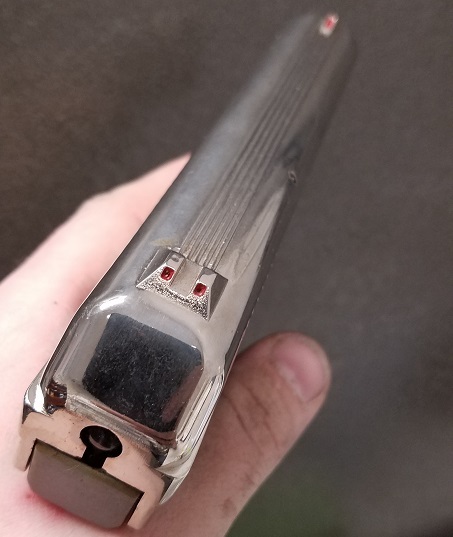 There is a thin spot behind the trigger into the grip well area that likes to crack both on the aluminum and the zamak framed versions. The plastic framed guns dont have this issue even when shooting high +p++++ ammo. Probably the greatest improvement hipoint made was going to that milk jug plastic frame. I have never seen or heard of one crack. The old 45 and 40s&w aluminum frames were even worse. whatever those magazines were for the jennings were they were not mecgars. I would have to see a picture to identify them. Hipoint magazines are a joke. Cleaning is a pain and they have no heat treatment. The springs are weak as well. The 380acp has so much slop in the c9 mag it can cause functional issues. They could at least make a magazine with a rear spacer in it. its pretty unbelievable that there is so little aftermarket support for hipoint pistols. Hogue or Pachmayr should offer rubber grips and a solid aftermarket magazine is pretty overdue. There are a gazillion of these things out there and they have a pretty large cult following. What aftermarket stuff there is available are cottage industry setups and too expensive for most hipoint owners. The newer versions of the pistols are pretty underated IMO. There are so overbuilt they can take abuse that would blow up or break expensive pistols. Soft and accurate shooters as well. Even the 40s&w is a pussycat. You're certainly correct. I took a look at the J-22 magazines and there's no "Italy" marking on them. It's been a long time since I last looked, so I suspect I read about a Mec-Gar connection somewhere online, or my memory is failing me. Regardless of that, they are much nicer than the pistol itself and remain in great condition long after the pistol gave up the ghost.